Cool Sunshine Heating and Air Conditioning, Inc. is much more than just an average HVAC company. We believe in taking care of your comfort needs to our highest ability, and you can count on us for superior customer service when providing heating and air conditioning services in Cherry Hills Village, CO. We are one big happy family, and look forward to making you a part of it. We offer the best in HVAC and indoor air quality services, making honesty and integrity a priority—not something that can be said at those "big Box" national companies. To learn more about our Cherry Hills Village HVAC services, contact our team today! For personalized service in Cherry Hills Village, CO, look no further than Cool Sunshine Heating and Air Conditioning, Inc.. Contact us today! Do you know why it’s so important that your air conditioning installation be performed by a trained professional? Because only an experienced technician will know all the proper steps that go into that installation or AC replacement. For example, did you know they do something called a cooling load calculation? This helps us determine not only if your new air conditioner may be too small for your space, but also too large. The best way to prevent the worst of AC repair needs is with a thorough AC tune-up. In general, we recommend you have this service done right before you’ll need your system the most, so in the spring. 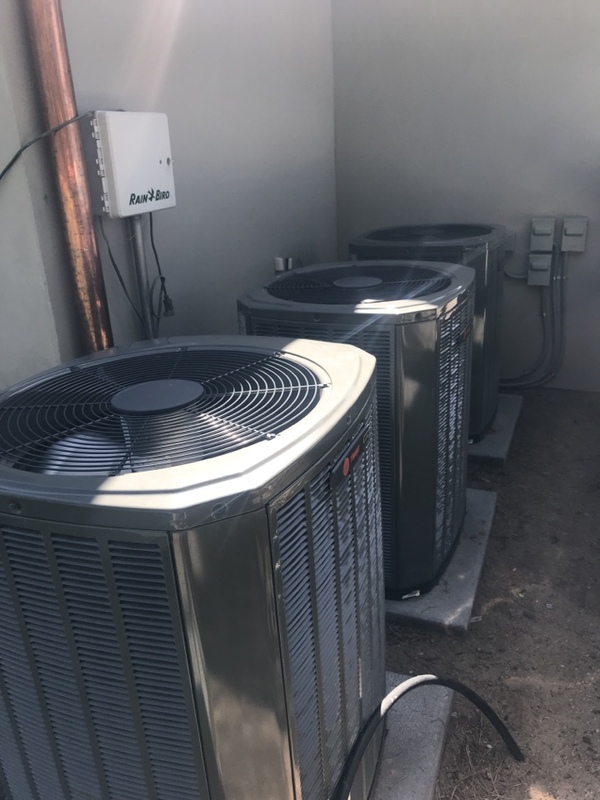 But in reality, it doesn’t matter as much the time of year you have air conditioning maintenance done, but rather that you have it done on a consistent, yearly basis. Maintenance helps ensure your Cherry Hills Village air conditioner works as efficiently and effectively as possible, for as long as possible. What type of heating system installation are you looking into? If you already have a furnace in place that you want to upgrade, or alternatively, a boiler, then a heater replacement with the same type of system may be just fine. But if you want to explore fuel types and different heating options, that’s okay too—just make sure you work with an experienced pro who can fill you in on the pros and cons of each system. Are you in need of furnace repair? One of the signs that this is the case is cool air or a lack of airflow coming from your ventilation system. The type of furnace repair you may need will vary. It could be that you have damaged ductwork, or it could be something more serious. The only way to tell for sure is to get in contact with a trained professional so we can perform an inspection. And if you haven’t scheduled heating maintenance in the last year, now is a great time to get that done too! Many Cherry Hills Village homeowners assume that all they need to protect their indoor air quality is the air filter that came standard with their HVAC system. While this air filter is an important component, its purpose is often misunderstood. Rather than being tasked with protecting your indoor air quality, it is in place to protect the HVAC system itself from dirt, dust, and other debris that can collect on its components and impact its performance as a result.